As I write to the three-year-old you, I am reminded of a profound letter that I read many years ago. It was written in 1914 by W.E.B. Du Bois to his 14-year old daughter. It is a letter that has meaningfully shaped my life and one that I re-read often. As you grow up, you will learn a lot about Du Bois because he was a truly great thinker. He was the first Black student to earn a Ph. D. from Harvard—in 1895, no less. He also co-founded the NAACP, which has fought for the advancement and equal treatment of African-Americans since the organization began over a century ago. And yet, of all of his remarkable accomplishments, including having written The Souls of Black Folk, one of the most important books on race ever penned, it is this letter to his young daughter, Yolande Du Bois, that speaks loudest to me. Yolande was attending boarding school in England so she could receive a top-notch education, which her father valued so highly. (My mom—your grandmother—felt the same way.) Here is a bit of what he wrote to his daughter far away from home. . .
. . . By this time I hope some of the strangeness has worn off and my little girl is working hard and regularly. Above all remember, dear, that you have a great opportunity. You are in one of the world’s best schools, in one of the world’s greatest modern empires. Millions of boys and girls all over this world would give almost anything they possess to be where you are . . . Deserve it, then. Study, do your work. Be honest, frank and fearless . . . You will meet, of course, some curious little annoyances. People will wonder at your dear brown and the sweet crinkley hair . . . Remember that most folk laugh at anything unusual, whether it is beautiful, fine or not . . . The main thing is the YOU beneath the clothes and the skin—the ability to do, the will to conquer, the determination to understand and know this great, wonderful, curious world. Don’t shrink from new experiences and custom. Take the cold bath bravely . . . Enjoy what is and not pine for what is not . . . Above all remember: your father loves you and believes in you and expects you to be a wonderful woman . . . Even when excerpted, there is so much to take in. That said, my three favorite lines are the ones I want to emphasize for you. First, Du Bois says, “Be honest, frank and fearless.” I will expect you to be honest; I will hope for your frankness; and I will encourage you at every turn to be fearless. As you know, although you are only three, I often tell you to be “be brave.” I emphasize bravery because I have seen crippling fear cause so many people to give up on the lives and loves that they want. Here is the thing to know; everyone feels fear—and you cannot be brave without it. So when the fear comes, dig deep inside and trust yourself. In this regard, Du Bois says it best when he urges his daughter to “Take the cold bath bravely.” In other words, while you may not be able to stop your fears, you can overcome them. of mankind. Just as I will tell you that you can do or be anything, I will expect you to believe the same is true of anyone and everyone. And lastly, always know that like Du Bois, your mother “loves you and believes in you and expects you to be a wonderful woman.” I will do everything I can to make sure you know just how loved you are. To that end, I promise to be honest and forthright with you: to share my experiences while letting you learn from your own; and most of all, to love you for who you are. 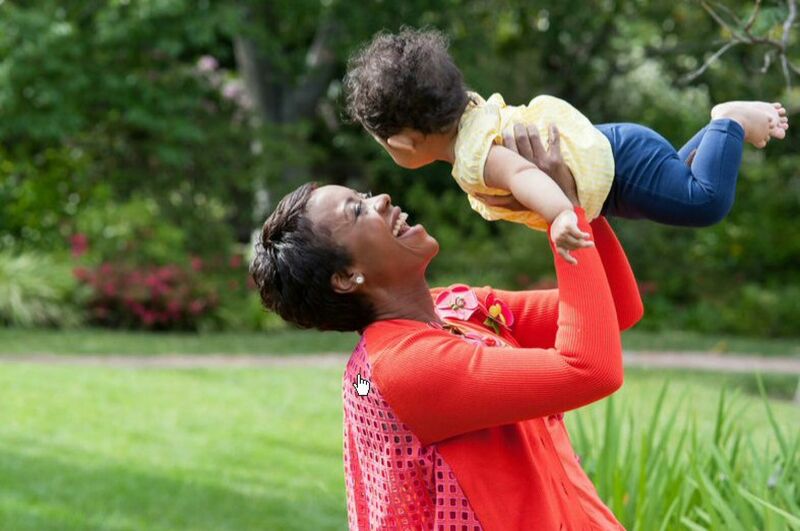 Mellody Hobson is the President of Ariel Investments and sits on the boards of Estee Lauder and Starbucks.